Instagram’s confirmed its worst-kept secret: the launch of business profiles, analytics and the ability to boost posts. The Facebook-owned photo- and video-sharing network announced in an Instagram for Business blog post that the tools for businesses will launch in the U.S. starting in June, with Australia and New Zealand to follow shortly thereafter and plans for global availability by year-end. Business profiles are a free feature for accounts wanting to be recognized as a business on Instagram. With a business profile, businesses can choose how they want their customers to get in touch with them: call, text, email with a tap of the contact button, as well as get directions. Business profiles also unlock access to insights and the ability to promote. 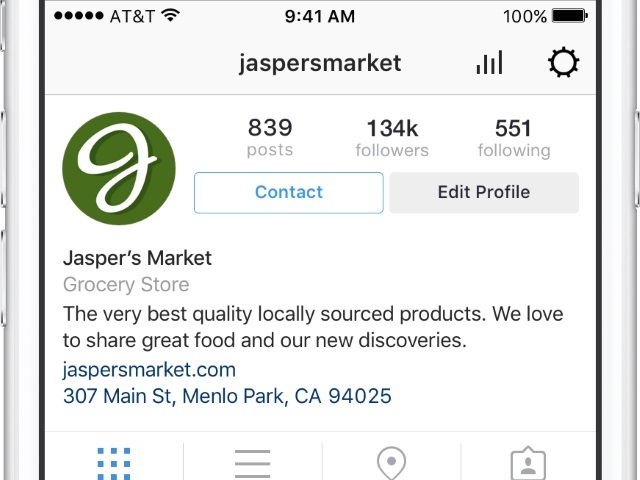 Instagram Business Profiles Launch from SocialTimes on Vimeo. These insights give businesses actionable information about who their followers are and which posts are resonating the most—all from within the Instagram mobile app. By learning more about the behavior and demographics of your audience, you are more apt to create relevant and timely content. Instagram Business Profiles Launch: Insights from SocialTimes on Vimeo. The ability to promote lets you turn well-performing posts into ads right within the app—helping you connect with even more customers. You can pick a post you’ve already shared on Instagram and add a button encouraging people to take action. You can select a target audience or allow Instagram to suggest targeting for you. After that, your post will be promoted as an ad for any length of time you choose. Instagram Business Profiles Launch: Promote Posts from SocialTimes on Vimeo. Readers: What are your thoughts on Instagram’s new tools for businesses?